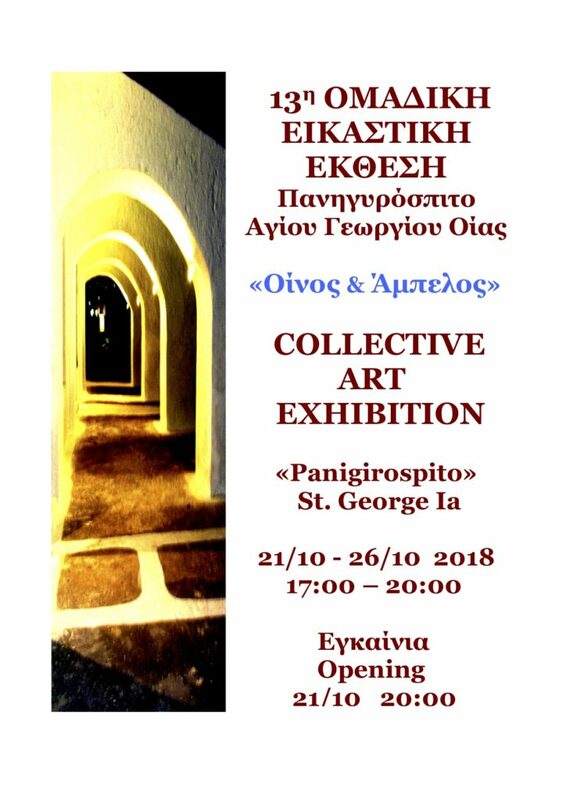 “Wine and Vineyard” is the theme of this year’s collective art exhibition, that will be presented by 25 artists working in Santorini, at the “Panigirospito” exhibition hall, in Oia. The selection of the theme was made to highlight the specificity, beauty and historical value of the Santorini’s vineyard through an artistic approach and view. The official opening of the exhibition will take place on Sunday, October 21st at 20:00. The exhibition will run until Friday October 26th and will be open daily, from 17:00 to 20:00. The artists that participate are: Alithini, Olga Archontou, Christos -Cesarios- Antoniadis, Christoforos Asimis, Nelly Gavroglou, Christina Goumourian, Michalis Karamolegos, Dimitris Koliousis, Apollonas Koliousis, Eleanna Koumarianou, Vasilis Kyrkos, Lambrini Kostika, Pantelis Leousis, Emily Mandilaras, Antonis Dagadakis, Kyveli Mousouri, Galatia Papageorgiou, Marilia Preka, Giorgos Proios, Vangelis Roussos-Pepos, Violetta Salpea, Georgia Trypsiani, Nikos Hitoglou, Doris Athanassakis, Yeoran Lee.